Release Date:05/12/2015;Notes:Deluxe triple 180gm vinyl LP set, pressed by Record Technology, includes hand-numbered slipcase with an eight-panel booklet with notes by Ashley Kahn, Quincy Jones, Pete Townshend and others, collector postcards of never before published photos, and digital download. In the Beginning features recordings of Wes Montgomery spanning from 1949 to 1958, the formative years when the six-string virtuoso was honing his craft in southern Indiana. Since Wes Montgomery's passing in 1968, only two other albums of predominantly unreleased material have been released. Resonance Records is pleased to introduce the third with In the Beginning. 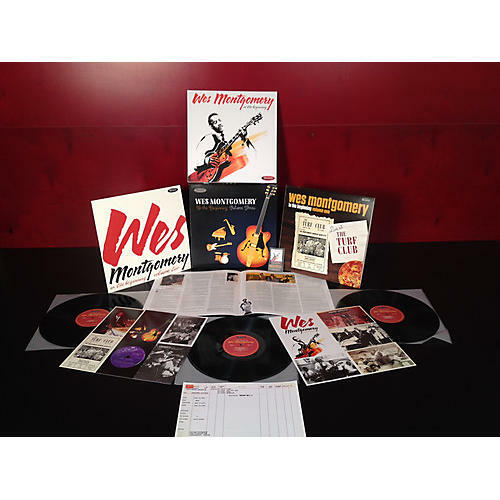 These newly discovered live and studio recordings from 1949-1958, include a complete never-before-released 1955 Epic Records session produced by Quincy Jones, licensed from Sony Music Entertainment, newly discovered 78 RPM sides with Wes as a sideman recorded for Spire Records (1949), a live recording from the home of Ervena Montgomery, Indianapolis (1956), live recordings from the Turf Club (1956), the Missile Lounge (1958) in Indianapolis, and the C&C Music Lounge in Chicago (1957).